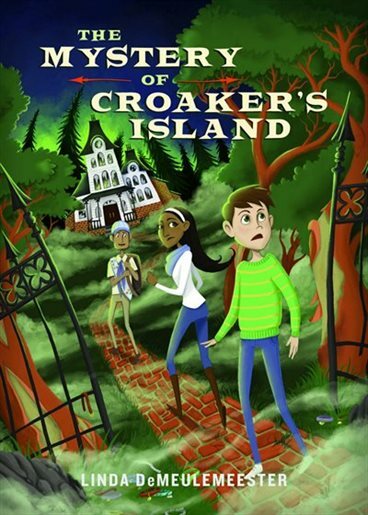 SFC member Linda DeMeulemeester’s latest work, The Mystery of Croaker’s Island, is now available! This Heritage House Publishing Co. Ltd. publication features a diverse group of friends who risk their lives getting to the bottom of a sinister supernatural mystery that is plaguing their otherwise sleepy town. Blending adventure and realism with a speculative twist, The Mystery of Croaker’s Island introduces a group of unlikely friends who discover connections between a haunted island, monstrous sounds in the briny deep, vanishing cats, and teenagers disappearing in the night with no recollection of where they’ve been. Drawn together, the new friends become embroiled in a perilous quest to uncover the mystery. What sinister force shrouds this sleepy town, and will the kids solve the mystery before it’s too late? Linda is the author of the critically acclaimed Grim Hill series. The Secret of Grim Hill won the Silver Birch award in 2008. Her other books have been nominated or shortlisted for several awards, including the British Columbia Young Readers’ Choice Red Cedar Award, the Saskatchewan Young Readers’ Choice Diamond Willow Award, and the Hackmatack Children’s Choice Book Award. Also a teacher, she enjoys sharing her lifelong love of reading with children. For more information on this, and on Linda’s Grim Hill series, visit her blog.